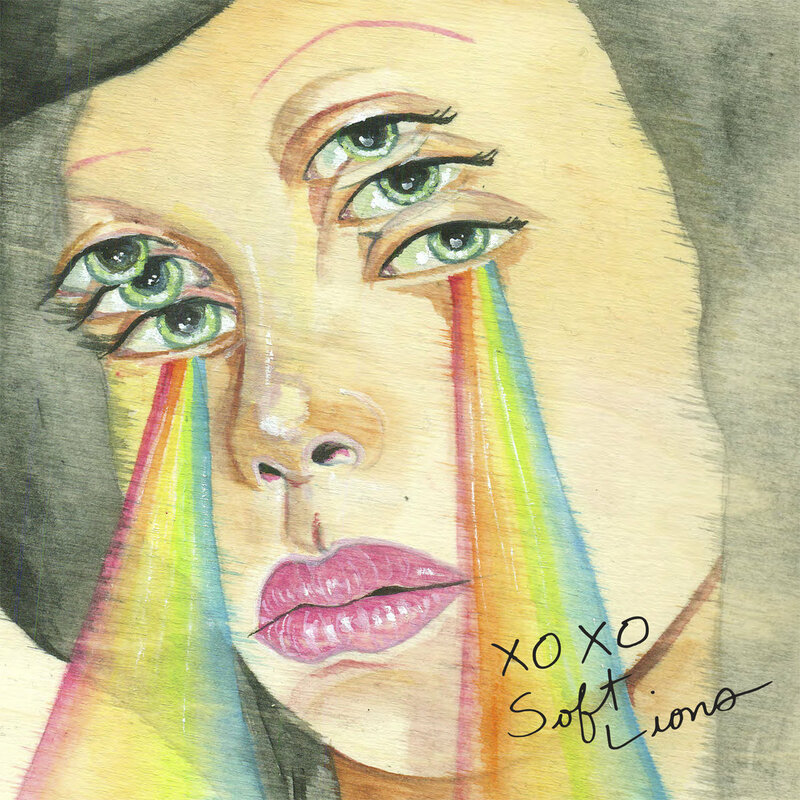 There is a lot to like about XOXO, the six song EP from San Diego's Soft Lions. The trio of Megan Liscomb (vocals/guitar), Ana Ramundo (keys/vocals), and Jon Bonser (drums) blends '60s girl group garage pop, riot girl pop punk and a bit of new wave into a delicious set of songs. XOXO kicks off with "Freeway", a new wave slice of indie pop that is perfect to get everyone at your next party dancing. "I Get Lost" follows with a perfect blend of riot girl, garage pop, and slacker doo wop. The band turns down the pop for the post punk "Digital Girl". Next is the garage romp "Pretty Enough". The EP ends with the upbeat "Run In Dreams" and the rootsy boot stomping "In The Garden". Very good stuff from a band to watch. XOXO is out now via Velvet Blue Music.